Medusa is an Inhuman and a member of the Inhuman Royal family. She is the Queen of the Inhumans and acts as the voice of King Blackbolt. Blackbolt must remain silent so as not to unleash his extremely destructive voice, luckily he has a minor amount of telepathy that allows him to communicate with people he is close to. The telepathic connection between Blackbolt and Medusa allows her to read his mind and say what he is thinking. Entertainment Weekly has revealed that actress Serinda Swan will play Medusa (More on this at bottom of page). Toylab is a member of the Amazon Affiliate Program and is able to bring you the products like those below to all Attilan lovers. Medusa and her younger sister Crystal are part of the Inhuman Royal Family and distant cousins of Blackbolt and Maximus the Mad. Medusa is attracted to Blackbolt from a young age and visited him often during his confinement as a youth. She practiced communicating with him first through body language, then sign language and later through mental telepathy. She was present when he was released and when Maximus attempted to trick him into using his power. At some points she has explored Earth rather extensively and this has boosted her immune system to an average human level. Medusa is also sought after by Maximus in addition to the throne. She spurns him, which only fuels his anger even more. She has battled against Maximus and his attempts to become numerous times and has generally been one of the most loyal supporters of King Black Bolt. In the eventsof Inhumanity Black Bolt releases a Terrigen Bomb accross Earth creating many new Inhumans. Humans with Inhuman DNA would transform as they came into contact with the cloud. Black Bolt also crashed Attilan into Earth and then went into hiding. Medusa was forced to deal with the new situation of the NuMans created by the Terregin, her missing husband, and Attilan's new role on Earth. Karnac also seemingly commits suicide before later returning. Her rule is challenged by the Unspoken but she manages to defeat him with the help of a group of Numans. During these events Medusa effectively became divorced from Black Bolt and began seeing other super heroes romantically. The Terrigen cloud was also killed off mutants which to a battle between the X-Men and Mutants and the Inhumans. In the end these 2 sides were reconciled through the leadership of Queen Medusa. Medusa has an interesting power she has long hair that she can move and control. The hair is extremely strong and tough. It is said to be stronger than Iron. She can snap her hair like a whip, use it to entangle people or climb like a rope, or lift and throw massive objects. She is kind of like Rapunzel on steroids. There is going to be an Inhumans Show on ABC that will also have 2 episodes appear in Imax theaters. It is unknown who will play Medusa in the upcoming show or how she will be depicted. Entertainment Weekly has revealed that actress Serinda Swan will play Medusa. Serinda is known for playing Zantana on the show Smallville. "Serinda empowers Medusa’s regal glory and still maintains a relatability that synced perfectly with the character. She is nothing short of wonderful." Serinda has had other notable roles as Aphrodite in Percy Jackson and the Lightning Theif, a Siren in Tron Legacy. She also has had roles in Graceland, Chicago Fire and the Tomorrow People. I remember thinking she looks extremely striking as a siren in Tron Legacy. She had a kind of other worldly alien beauty that punched you in the eye and that may also serve her well as Medusa. I would say the royal couple of Black Bolt (Who will be played by Anson Mount) and Medusa have facial features that emote a sense of power, beauty and also have a unique beautity that is slightly non human. That seems odd to say about too beautiful people but its like their faces are too perfect be real. Just stepping back I think that will work out great for the Inhumans. The Inhumans after all are like humans but not. Inhumans has faced intense scrutiny from fans in early trailers. One of the focal points of critism was the hair Medusa that some fans claimed looked too fake. A later trailer also revealed that Medusa at one point loses her hair. Causing many fans to complain that the character's path was being dictated by the shows budget. 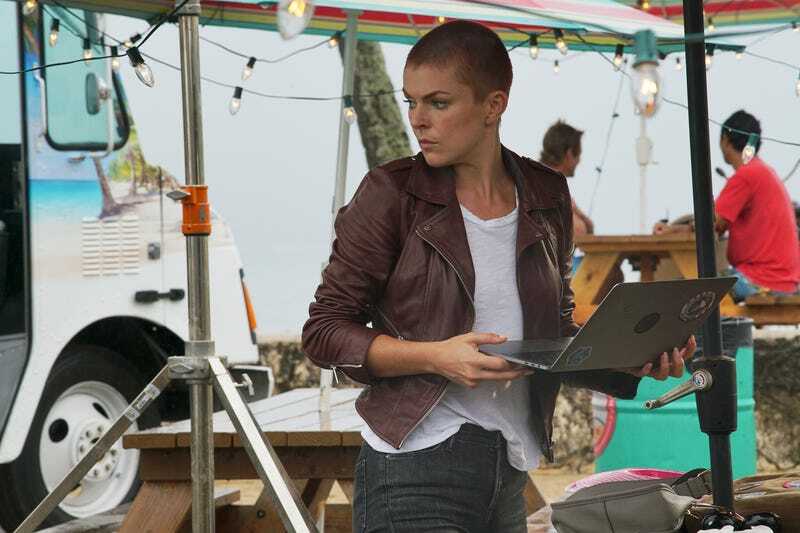 Serinda Swan was spotted on set with short hair. 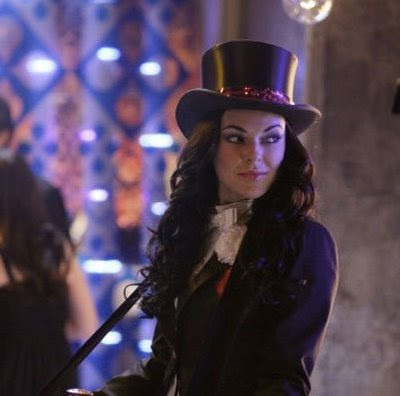 Some speculated this was just Serinda walking around the set. However, in the trailer Medusa is revealed to have short cut hair. Whether this is done by her or by someone else is unclear. However, this does leave the character without the bulk of her powers. 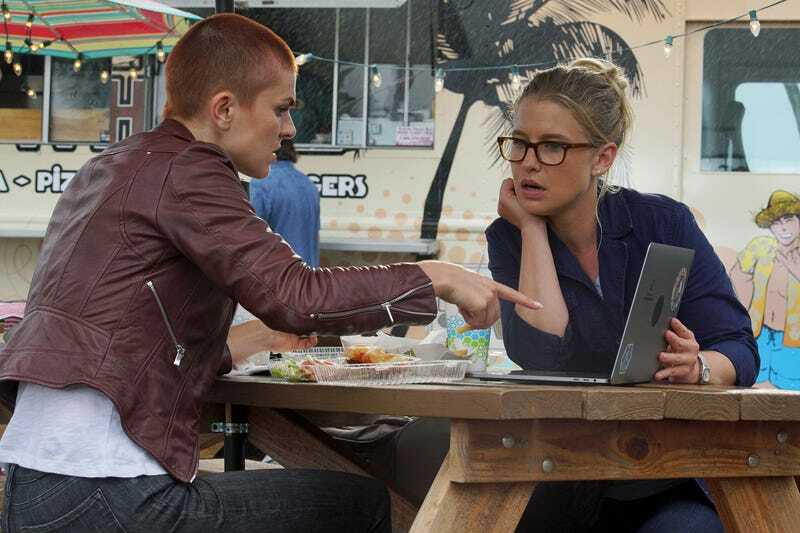 New pictures show Medusa using a laptop in an episode called "Make way for...Medusa!" It looks as though Medusa may make a human friend in the episode as well. Either that or she steals the lady's laptop.